Parents of newborns know what it’s like to hold such a blessing in their arms. Not only have they have a baby to raise, but they are also taking in a huge responsibility. There are a lot of things you have to take into consideration when it comes to being a parent. For the most part, you are always going to want to make sure your baby is happy. From toys to other necessities, your child deserves the best. It can be difficult to shop for a baby, but I think I’ll be able to help out with that. I happen to have a few product selections for you to consider getting for your child. So with that being said, check out the info I have for you on the selections below. 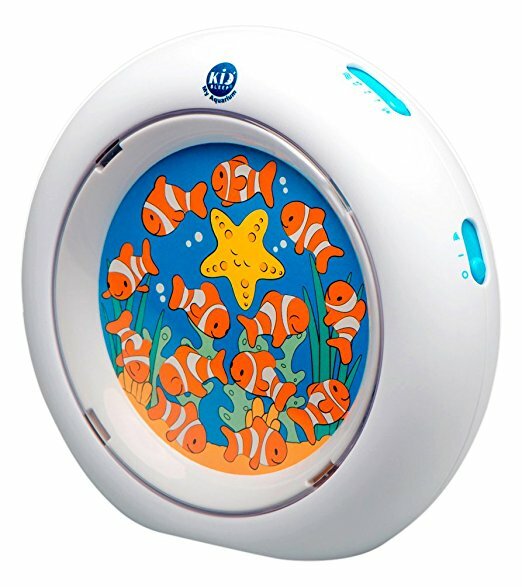 Kid’Sleep My Aquarium Animated Nightlight – is one of the first animated nightlights of its generation. It features 4 different lullabies to choose from as the fish move to the rhythm. Once the music ends, the fish go to sleep, but a special nightlight remains on for 30 more minutes before turning off. Sleep will become smoother and easier for your precious baby. SoapSox – this is a unique and adorable new line of plush friends perfect for kids during playtime and bath time. Your child can snuggle, cuddle, and play together! The best part is that it’s soap pocket transforms lovable SoapSox® into a sudsy washcloth. So 2-in-1 sounds like a great combination in my book. Yookidoo Crawl ‘N’ Go Snail – this is a special 2-in-1 toy that is musical battery-operated snail that rolls, spins, and even turns. The toy was designed to encourage your child to learn how to crawl. It’s spinning shell also unscrews allowing it to become a 7 piece ring stacker. It has so many wonders that can benefit your child in a number of ways. These are some great options in the baby category that would be great pick-ups. You never know what you could end up needing in the long run. So why not get a jump start while you can? Check out all the information I have for you on the selections above.